LoriYoga – One People. One Planet. One Love. One People. One Planet. One Love. LORI MCALISTER (E-RYT 500, YACEP) is a celebrated international yoga educator and the creator of Sequencology, a teaching methodology for intelligent vinyasa. 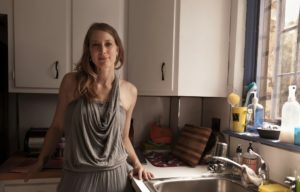 She has been a featured teacher at New York City’s top yoga studios, an adjunct faculty member on several teacher training staffs, and leads workshops, retreats and trainings around the globe. She has been featured in Vanity Fair, NY Yoga + Life Magazine, Style Magazine, and Bazaar Magazine. Lori currently lives on the Main Line of Philadelphia in Bala Cynwyd, Pennsylvania with her husband, Raimon, and their children Bodhi and Ona. Originally from Maine, Lori earned her BFA in Dance from Emerson College in Boston, Massachusetts. She received her 200 hour yoga certification from New York Yoga under the direction of David Hollander, Michael Gilbert, and Govinda Kai. 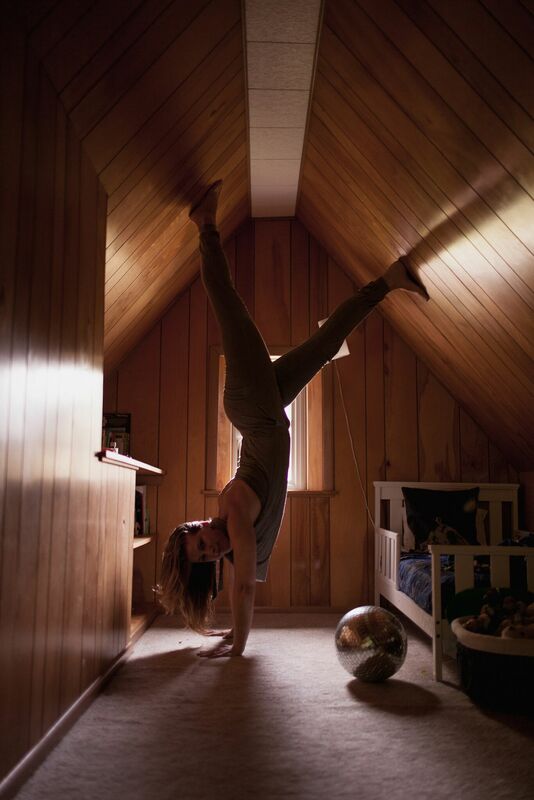 She also holds her 300 hour certification in Shiva Rea’s Prana Vinyasa from Sonic Yoga and a 75 hour advanced Kula Flow teacher training with Schuyler Grant. Join Lori for a cozy morning by the fire in her Bala Cynwyd home for a presentation of Ayurveda, the science of life, followed by lunch made by chef Terrence Foster. – Includes manual, dosha questionnaire, a self-care tool to use at home, and a vegetarian lunch designed for your dosha. Register today by sending a message to lorimcalister@gmail.com. 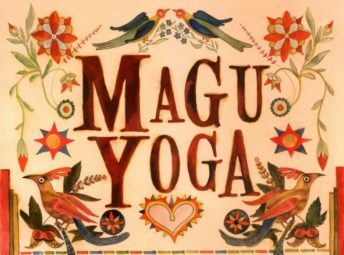 Agni Moksha (fire of liberation) is a Yoga Alliance Registered 300 hour yoga teacher training program led by senior teachers Erica Taxin Bleznak, Julie Morse Pogachefsky, and Lori McAlister. 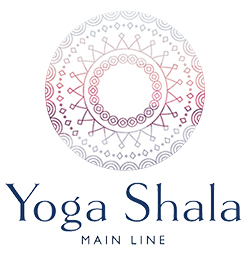 Structured as a journey of self-study from the outside in, this advanced teacher training includes comprehensive Asana study, intelligent sequencing, a detailed and in-depth look at Pranayama, and personal self-inquiry work. THE 2018-2019 PROGRAM IS CURRENTLY SOLD OUT. PLEASE STAY TUNED FOR THE NEXT OFFERING. Sequencology is a methodology developed by Lori McAlister (E-RYT 500) for intelligent vinyasa yoga sequencing. This advanced teacher training examines the design of well-balanced yoga classes. We reverse engineer peak poses, refine their building blocks, and create challenging, safe and efficient yoga sequences. Topics include anatomy and injury prevention, diagnostics and sequencing for the private client, therapeutics and pain management, and how to incorporate authentic dharma talk. Trainees will cultivate effective tools for sequencing fully-developed vinyasa classes and specialized sessions for private clients. Sequencology is now being offered as a private mentorship. Sessions can be completed in person in Philadelphia or via Skype for out-of-towners. Beginner : perfect for your first time practicing yoga. this orientation will cover the names and alignments of basic postures and finish up with a deep relaxation. Basics : this is a hatha yoga session. we move at a slow pace through sun salutations, standing poses, balances, core-strengthening, back bends, forward bends, hip-openers, shoulder-openers, and finish up with a deep relaxation. this practice has low-impact on the joints. Intermediate : this is for the dedicated yogi who wishes to move into a deeper understanding of the practice. we move at a faster pace through a flow sequence of sun salutations, standing postures, balances, core strengthening, back bends, forward bends, hip-openers, shoulder-openers, and finish with a deep relaxation. this practice introduces arm balancing, inversions and deep back bending with more weight-bearing on the joints. we also cover pranayama (breathing techniques), yogic philosophy, and meditation. Advanced : this is an athletic practice for the dedicated yogi who wishes to explore a dynamic flow of challenging asana (physical postures), with pranayama (breathing), and meditation. be prepared to sweat! Restorative : a practice named for restoring a sense of calm to the central nervous system, this session is gentle and slow with the use of several props to support complete relaxation. aroma therapy and gentle massage are incorporated to help you feel refreshed and restored. perfect for those recovering from an injury, an illness, or for those who want a gentle practice with no impact on the joints. Sports-geared yoga : perfect for any athlete who wants to compliment their training with a yoga practice that will increase their flexibility and center their focus. Kids and/or family yoga : this session is created as play-time for the whole family as we explore the yoga postures with songs, games, and story-telling. create life-lasting memories of family-bonding time with smiles and laughter. Prenatal yoga : perfect for any trimester. these sessions focus on deep squatting, pranayama (breathing techniques), kegel exercises, and deep relaxation. Chair yoga : perfect for seniors or those recovering from an injury who need to modify their practice by use of a chair. the session will focus on lengthening the spine, lubricating the joints, increasing mobility and flexibility, balancing, and finishes with a deep relaxation. there is no weight-bearing on the joints. GET STARTED ON YOUR JOURNEY. CONTACT LORI BELOW!